Viewing the boat wreck known as Bád Eddie, (Original name Cara na Mara) that lies on Maheraclogher Beach since about 1977. Each year it gets destroyed more with the storms that ravage the Atlantic coast of Donegal. 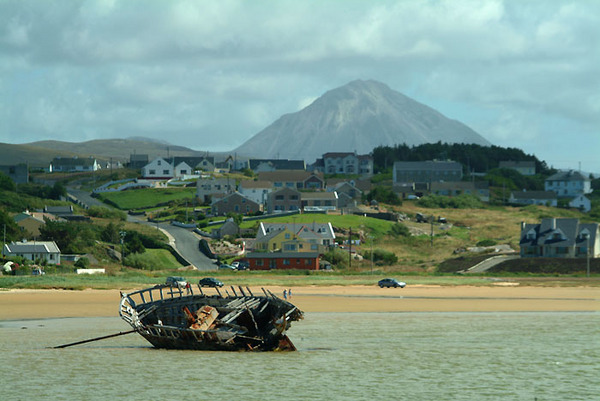 Mount Errigal can be seen in the background. Unframed, no mount (mat), easy to post. Smaller size available. Framing possible if picture collected. Please enquire.